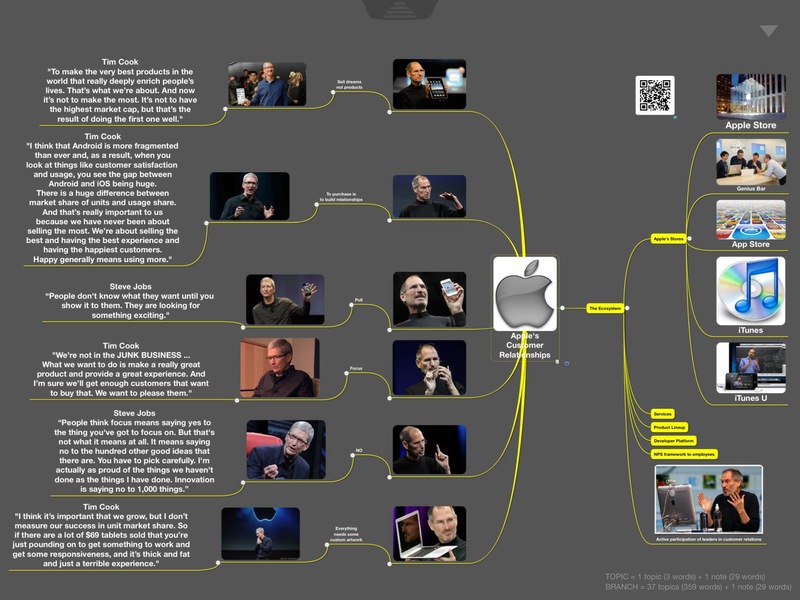 On October 5, 2013, we saw hundreds of publications praising Steve Jobs. It was the 2nd anniversary of his death. Why did so many people and publishing media pay deference to this man? Well, he was a visionary, a philosopher, and a great entertainer and the company still is based on his principles. What are the secrets of building strong customer relationships? Apple has long been recognized as a leader and innovator in customer service. They have created a system, beyond a customer support call and help center, with their Genius Bars, where customers can bring in their products and have Apple’s experts work on their computers, iPhones, etc. How easy is that! Some might even say its genius! More than leading an organization that delivers great customer service, Jobs was an innovator. He recognized not only what customers want, but also what customers need before they even know they needed it. He literally created industries with this forward thinking kind of innovation. He was first to market with products that were unproven, but quickly turned into staples in the form of needs, not just wants. Apple is one of the strongest brands in the world, which is due in large part to their army of evangelists. Proof is in the way Mac customers will evangelize their computer and other Apple products. Most likely you’ll witness an amazing level of brand loyalty. How did Apple do that? While entire books written about Apple have answered this question, one of the simple answers is that they understand the customer. They know what customers want, and need. 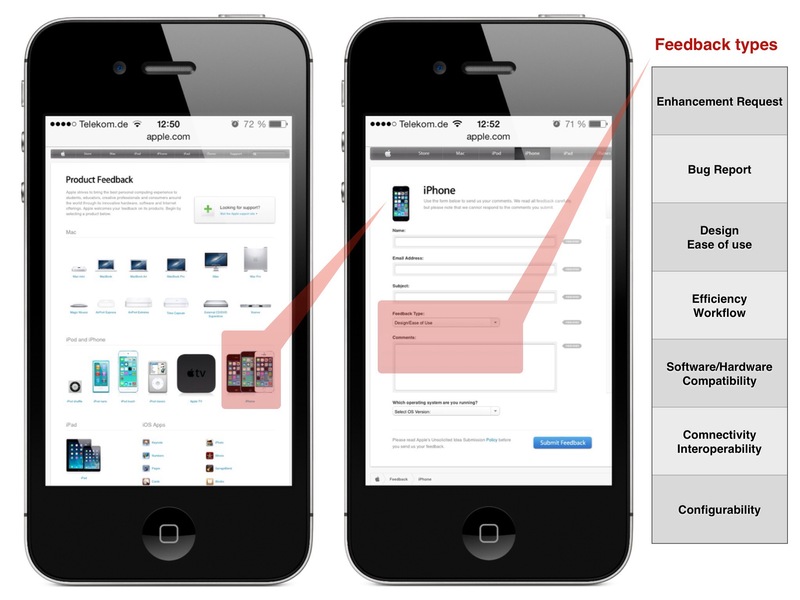 In some cases (iPhone and iPad) Apple already knew what customers want before customers even know they want it. Apple created industries with this forward thinking type of innovation. Apple was first to market with products that were unproven, but quickly turned into staples in the form of needs, not just wants. What can you provide your customers that they don’t yet know they want, or more important, need? If there are products of high quality following the simple principle what customers need you’ll have more than a loyal customer. You’ll have a partner, an evangelist who will give you repeat business and sing your praises to their friends and associates. 4 “I think that Android is more fragmented than ever and, as a result, when you look at things like customer satisfaction and usage, you see the gap between Android and iOS being huge. There is a huge difference between market share of units and usage share. And that’s really important to us because we have never been about selling the most. We’re about selling the best and having the best experience and having the happiest customers. Steve Jobs was in direct contact with customers to build up customer relationships and stepped into a role model for his employees. This built up part of Apple’s DNA regarding customer relations and today is continued with the Genius Bar (hands-on technical support from experts for Apple products, using your own device) within Apple Stores. Among CEOs, Steve Jobs was an outlier. CEOs of public companies are generally hands-on, but Jobs was involved in nearly every detail, from determining which industries Apple should invade to the material used for the iPhone’s screen. Jobs even got directly involved in customer service, which was a part of Apple’s business for which he exercised a great deal of attention and patience. He fielded e-mails about broken laptops and intervened on support calls. Unlike other leaders, Jobs was handling an unusual number of his company’s own basic customer service inquiries. Long before that, however, Jobs was extraordinarily embedded in handling customer complaints. On October 11, 1999, not long after Jobs returned to a dying company and took on the title of interim CEO (or iCEO), he fielded an inquiry from a customer named David about iBook laptop shortages. “We are doing the best we can with a limited supply (which is finally now increasing). Please remember that some of the first pre-orders came from CompUSA,” Jobs wrote. Jobs didn’t often pick up the phone to go back and forth with customers, but at least one Apple customer, Scott Steckley, recalls a time when an e-mail to Jobs, explaining how there seemed to be no end in sight to his wait for a computer repair, was met with a phone call. “Hi Scott, this is Steve,” Steckley recalled hearing from the other end of the phone. Economists always try to measure business related facts. is a customer loyalty metric developed by (and a registered trademark of) Fred Reichheld, Bain Company, and Satmetrix. NPS can be as low as −100 (everybody is a detractor) or as high as +100 (everybody is a promoter). An NPS that is positive (i.e., higher than zero) is felt to be good, and an NPS of +50 is excellent. Net Promoter Score (NPS) measures the loyalty that exists between a Provider and a consumer. The provider is the entity that is asking the questions on the NPS survey. The Consumer is the customer, employee, or respondent to an NPS survey. Gambling? Instinct? Gut? Not really. The reality is that Apple listens very closely and systematically to its customers. Apple is one of the premier exponents of the Net Promoter Score for systematically listening to customers and managing its business in response to what they hear. Apple has been a pioneer in adapting the NPS framework to employees. Apple realized that only employees who were promoters themselves of Apple were likely to be able to turn customers into promoters. So they began surveying their own employees every four months to determine how likely the employees would be to recommend the store as a place to work. 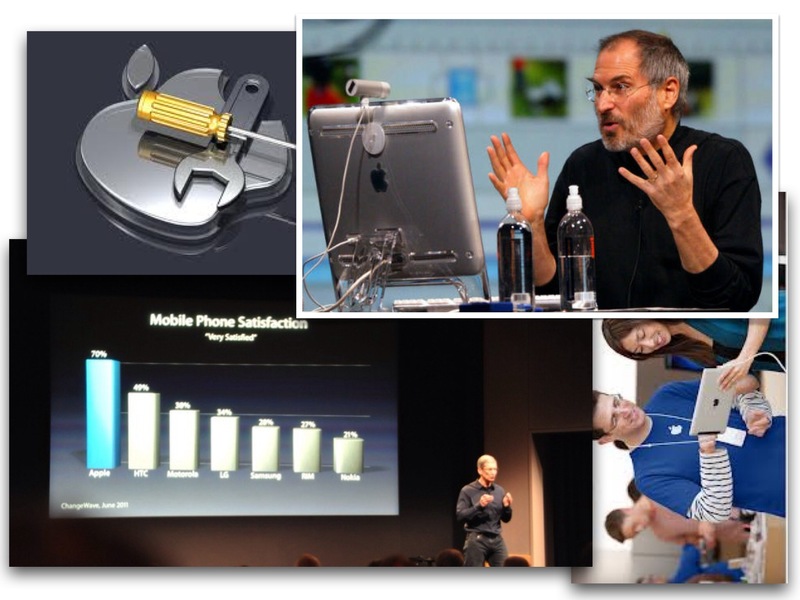 When Apple began measuring NPS in 2007, its 163 stores already had an excellent NPS of 58%. In 2011, its 320 stores worldwide have an outstanding NPS of 72%. The best stores achieve a remarkable 90% NPS. Is the primary source of customer enthusiasm Apple’s amazing products or cool design? No. The most common reason for becoming promoters is the way store employees treat them. It helps everyone to do the right thing, enrich the lives of the customers they touch. Making money is the result, not the goal. The result is of course that Apple makes an awful lot of money. Where a typical electronics store averages $1,200 per square foot in sales, mature Apple stores exceed $6,000 per square foot, the highest productivity in retailing of any kind. What sometimes confuses people in thinking about Apple is that they see Apple making a lot of money, and they begin to imagine that making money must be Apple’s goal. On the contrary. If making money were ever to become Apple’s goal, the whole approach would collapse back into the failing practices of traditional management. Thus Apple practices radical management, where making money is the result, not the goal of the organization. The bottom line of Apple’s business is to delight the customer. Appreciation of a whole company goes along with the grade of innovative power and the intensity of customer relationships. When navigating Apple’s homepage you will find a link at the bottom on the right side which is named ‘Contact us’. On the site ‘Contacting Apple’ you will find a submenu ‘Feedback’. It’s not likely that anybody will get an answer when participating in Apple’s feedback offer. It’s more likely that Apple will react if the collected serious suggestions are likely the public opinion.